Background photo: Patryk Dziejma/Pexels, CC0. For ValerieNieman, walking came before writing, but they go together. The child who wandered near her homeplace on the Allegheny Plateau become the adult who, with more time (college professor rather than journalist) and a bit more money, was able to put her feet on paths as far north as the furthest Orkney island and tread the routes of prehistory in the Perigord. This walking meditation has yielding two poetry collections – HotelWorthy, most recent, in 2015 – as well as three novels and a book of short stories. Nieman has held fellowships from the NEA, North Carolina and West Virginia arts councils, and the Kentucky Foundation for Women. Her 2011 novel, Blood Clay, won the Eric Hoffer Prize in General Fiction and was a finalist for the John Gardner Fiction Prize. Nieman graduated from West Virginia University and Queens University of Charlotte and now teaches writing at North Carolina A&T State University. Most recent wandering: a month of solo hiking in the Scottish Highlands in research for a historical novel. 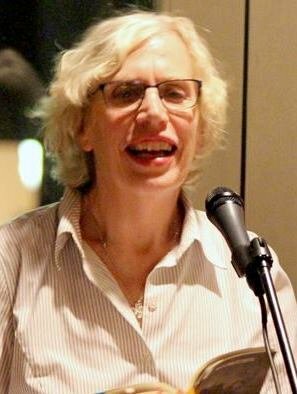 Valerie Nieman reading at East Bay Meeting House, Charleston, SC, in 2015. 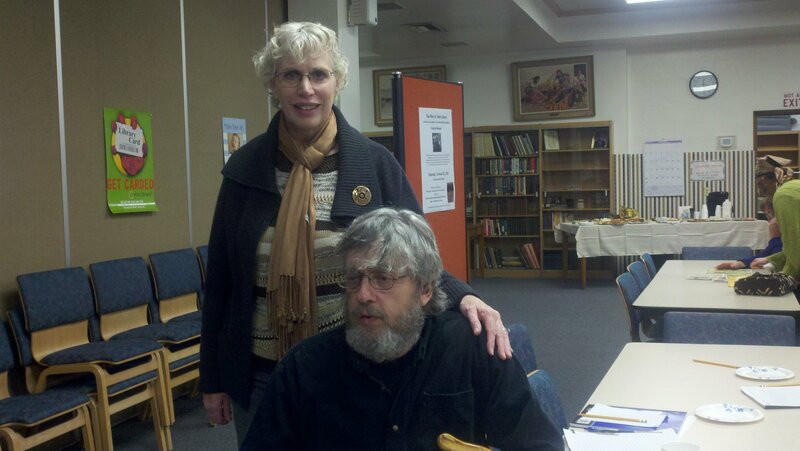 Valerie Nieman with Timothy Russell, poet and mentor, in Weirton, WV. 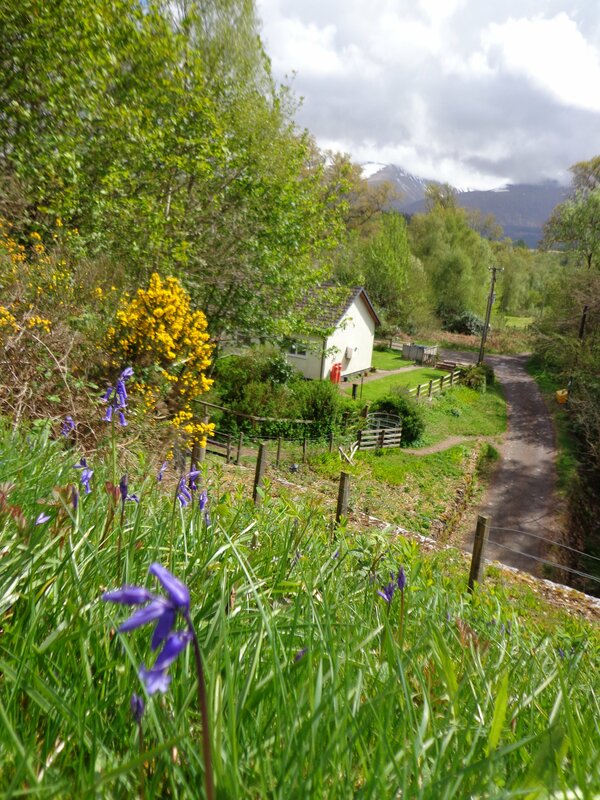 Scene from the path along the Caledonian Canal on the Great Glen Way. 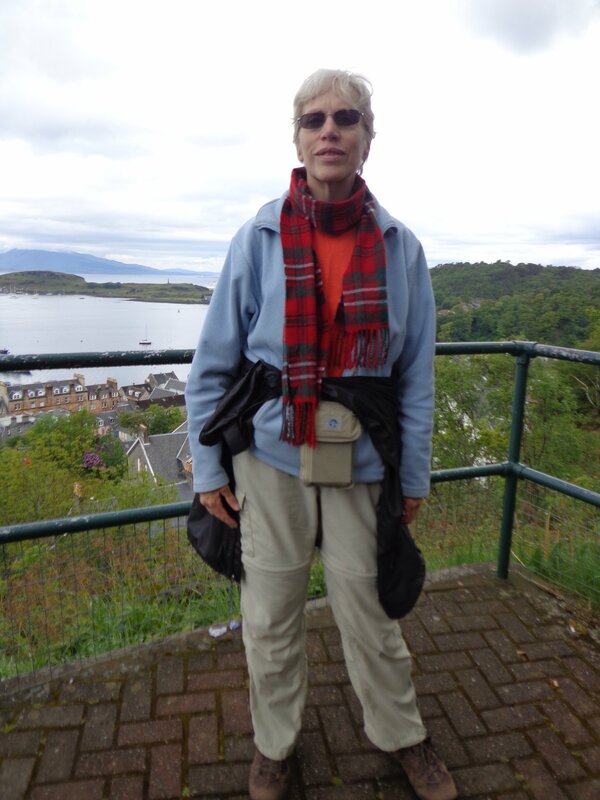 Shorn and skinny after a month hiking in Scotland – here, in Oban. As if, without harkening to Kipling, I greatly enjoyed the poem, and will remember it. Please consider making a Small Donation if you enjoyed your time with us. Postcard Poems and Prose is an independent magazine funded through the generosity of its staff and volunteer supporters. We actually PAY EXTRA to keep advertising out of our journal. Our distribution is free to all -- please consider donating to help defray our costs. Thanks in advance.